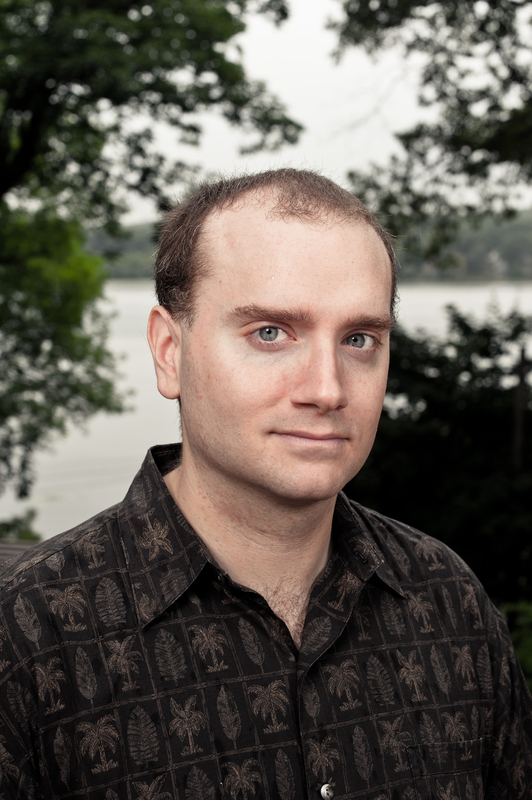 My first introduction to Matt Manochio’s work was reading The Dark Servant on his blog tour last year. Manochio took the legend of Krampus – the terrifying beast that serves as a dark foil to Santa Claus – and crafted a super fun read that was full of adrenaline fueled scenes and dark humor. Reading The Dark Servant, it was clear that Manochio was a talented author and I was excited to see what he would come up with next. 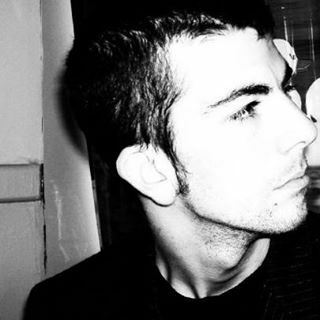 So when I was approached to join the blog tour for his follow up novel Sentinels, I jumped at the chance. 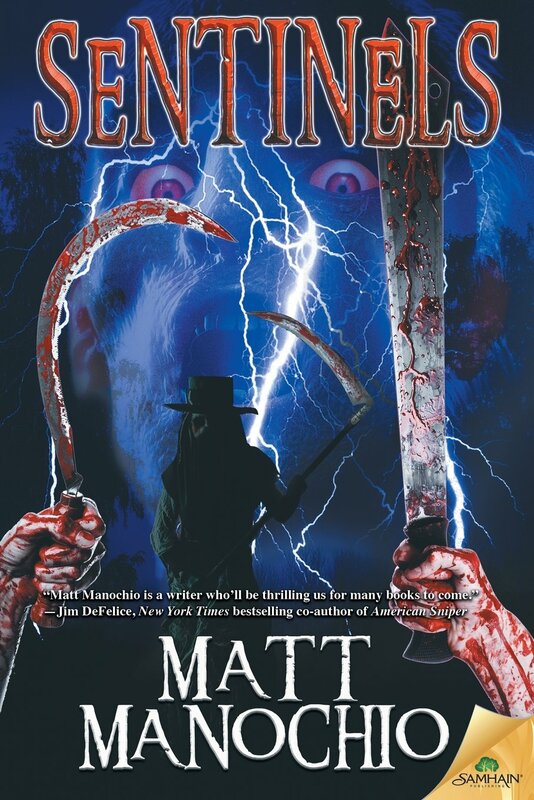 Sentinels is a supernatural historical horror story set in Reconstruction-era South Carolina. It opens with a pretty intense scene as a rag-tag group of criminals led by Lyle and his friends Brendan and Franklin attempting to kill former slave Toby Jenkins in order to steal the deed for the massive farm he inherited from Charlie Stanhope for the nefarious land baron Thomas Diggs. As they encircle the property, they are attacked by mysterious, shadowy figures and barely escape with their lives. Noah Chandler is a brand new sheriff’s deputy and was raised in South Carolina but fought for the North after attending Harvard for his law degree. He witnessed his brother die on the battlefield as they fought against each other, an event that still weighs heavy on his conscience. Despite his allegiances during the war, he moves back to his hometown of Henderson after the war in an effort to assist the Reconstruction efforts he deeply believes in. Noah finds himself quickly thrust into a bloody and bizarre situation in his first few days on the job when seven Ku Klux Klan members and two northern soldiers are found savagely murdered outside of a nearby plantation. Noah and the other sheriffs find little evidence and have no idea who would have committed the horrible crimes considering the victims belonged to two opposing groups. It isn’t until Noah talks to one of the survivors, Robert Culliver, that he gets any information at all. Culliver states that it wasn’t men that massacred those men, but wraiths. He said that they moved with precision and that even when they were shot by the soldiers trying to defend themselves, they didn’t bleed like normal men. Noah chalks up Culliver’s ravings about supernatural entities to the shock of witnessing such a brutal attack and the injuries he sustained. Surely wraiths couldn’t be responsible for killing those men, even if the circumstances surrounding their deaths were a bit bizarre. It isn’t until Culliver is murdered in his heavily guarded jail cell and Noah witnesses a series of unexplained events in the attack that he begins to suspect that there may be some truth to Culliver’s claims. As Noah begins to investigate the attacks, he and his family are plunged into danger and he learns the startling truth about the wraiths. I am a bit of a history nut, so I loved Manochio’s decision to use the period of Reconstruction as the setting for Sentinels. Lately, I have read a lot of horror books that take place in modern times, so it was refreshing to read a novel with a more historical setting. Manochio gives an unflinching look at the horrors of slavery and the violence that plagued the country during the Civil War and after it was over. There is one particular scene where Toby details his childhood to Noah while they are sharing drinks in the town’s tavern that is particularly gut wrenching. Even though it is clear early on Toby is somehow connected to the brutal attacks carried out by the mysterious figures that plunge Henderson into chaos, it is this scene that makes the reader feel a connection to Toby. I loved the wraiths Manochio conjures up in the novel and they are definitely creepy! I don’t want to spoil their appearance, but there is a scene toward the end of the novel that had an old school horror feel too it that I enjoyed. While I thought the wraiths were a cool and interesting choice as a horror monster, I felt their history was a bit rushed and ambiguous. Manochio does provide some back story on the wraiths and how they were unleashed on the town of Henderson, but I feel it would have been more effective if it was handled in bits and pieces instead of having it all explained toward the end of the novel. Manochio does a great job of bringing most of his main characters to life and giving them distinct personalities from the arrogant aristocrat Thomas Diggs to the often mocked criminal Franklin. Noah’s wife Natalie and widower Doreen Culliver seem to be one dimensional early on, but as the novel progresses they become much more complex and one scene late in the novel proves they are total badasses. Although most of the characters are well developed, there are a few secondary characters that fall flat and get lost in the action. I also loved how Manochio managed to blur the lines between good and evil throughout Sentinels. There are a few characters throughout the novel that stay firmly on one side of the spectrum, but some of them are a lot harder to label. There are characters who start off as good but are forced to do bad things out of necessity and some who are seen as evil only to go against all odds and finally do the right thing. There are some nice twists and surprises thrown into Sentinels that I didn’t see coming while reading, but after finishing the novel, I realized there were clues to some of the mysteries all along. I love those sort of little surprises and they definitely added to my enjoyment of the novel. Despite a few minor style choices that didn’t work for me, Sentinels is a highly entertaining read that I would definitely recommend to horror fans and particularly those who enjoy historical horror. I am a big fan of both of Manochio’s works and I am looking forward to reading his upcoming novella, Twelfth Krampus Night, which is a medieval tale featuring the infamous Krampus and the equally terrifying Frau Perchta. Twelfth Krampus Night comes right in time for the holidays, hitting shelves on December 1st from Samhain Horror. 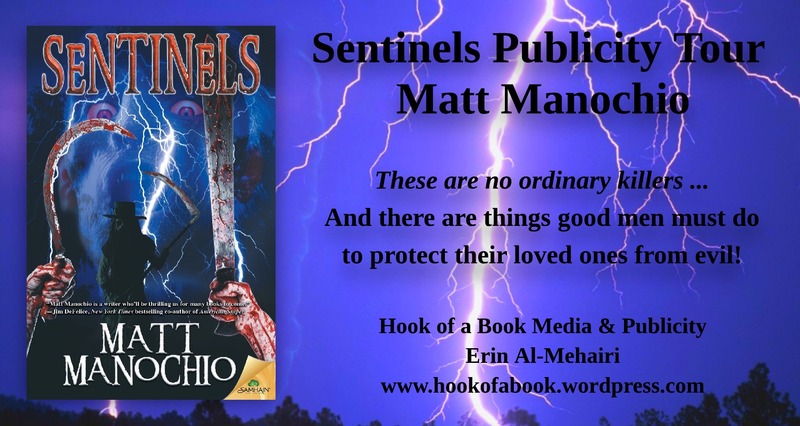 Purchase Sentinels: Amazon, Barnes & Noble, Samhain Horror or your favorite bookstore! 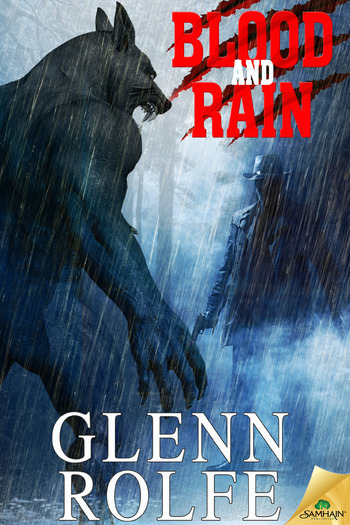 When a surviving Klansman babbles about wraiths, and is later murdered inside a heavily guarded jail cell, Noah realizes something sinister stalks his town. He believes a freed slave who’s trying to protect his farm from a merciless land baron can help unmask the killers. Soon Noah will have to personally confront the things good men must do to protect their loved ones from evil. 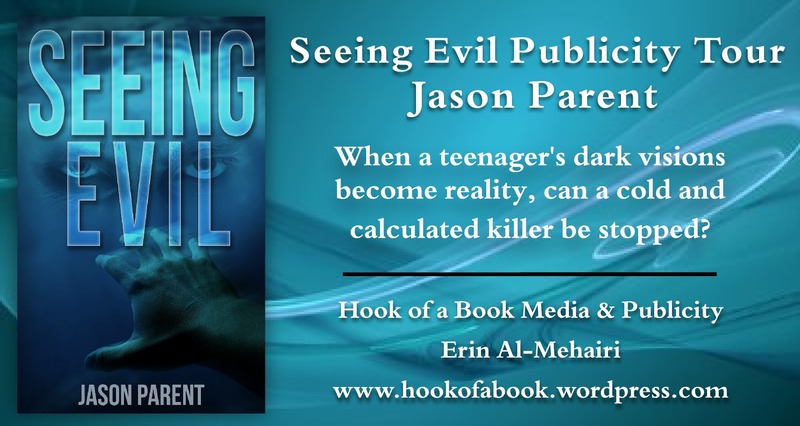 I was excited to read Jason Parent’s Seeing Evil after having heard tons of great things about his writing, so I jumped on the chance to read this book when Jason offered me a review copy. Seeing Evil is the story of Michael Turcotte, a teenager who has been in foster care since his parents death when he was just an infant. He has a close bond with Major Crimes Detective Samantha Reilly who was on the scene and rescued him after his parents murder-suicide. Despite the trauma of his past, Michael is your average kid trying to make it through the trials of high school. He is a target for bullies and tries to keep to himself, but he is viciously attacked one day and the attack changes his life forever. After the attack Michael has a vision. It seems like a random dream brought on by the aftermath of his savage attack, but it feels all to real to Michael. He tries to warn the staff at his school and even begs Samantha to do something, but everyone thinks it is just a remnant of the anger and fear he felt from his attack. When he witness his vision unfold in real life, Michael realizes his life will never be the same. Although Samantha doesn’t believe Michael’s visions are real initially, once they come true, she has no choice but to believe him. While the stories of Michael’s visions make most of his classmates afraid of him, fellow outcast Tessa Masterson is drawn to Michael for a chance to glimpse her future. What Michael sees will lead him and Sam into a dangerous quest for answers that brings them face to face with a ruthless killer. I have to commend Jason Parent for not holding anything back in Seeing Evil. There are plenty of vicious scenes in this story from Tessa’s heartbreaking interactions with her stepfather and the stomach-churning attack Michael endures at the hands of his school’s most ruthless bullies. While reading that particular scene, I was expecting things to go badly for Michael right from the start, but I didn’t expect that level of depravity. Parent does a great job describing the relationship between Sam and Michael. Ever since Sam rescued Michael, she has kept in touch with him and it is obvious they have a close bond with each other since that fateful day. Michael views her as a mother figure and the one person who has always been there to keep him safe, even as he bounced from foster home to foster home. They are both similar in that they are distant and stick to themselves, but it is obvious they both care for each other, even if they don’t admit it out loud. Tessa Masterson is a character readers will become attached to early. As a result of her stepfather’s cruelty, Tessa’s self-confidence is obliterated and the isolation imposed on her means she has no friends and is avoided by the other students who view her only as the “weird girl”. Tessa’s story is heartbreaking and I found myself rooting for her to escape the horrors of her day-to-day life. Parent’s antagonist in Seeing Evil is one of the most frightening characters I have read in a while and shows that everyday people are every bit as terrifying as any ghost, monster or supernatural entity. He has a warped sense of morality and rules that he feels everyone should follow and if they don’t, he feels it is his responsibility to punish them. What makes him so terrifying is his ability to blend in to society and his inability to feel remorse when he commits his horrible acts. I really enjoyed Seeing Evil, but there were a few things that didn’t quite click for me. Michael’s visions are a central part of the story, but it doesn’t feel like there is any real explanation given for them. A lot of times people who claim to be able to see the future either experience this ability at a young age or claim they have always had it. However, Michael’s visions seemingly come out of nowhere. Are they result of the violence he endured? Is there some kind of hereditary connection? Is it supernatural? I realize some people may like not knowing the cause for the visions and the author most likely wanted the cause to remain unexplained, but it was a little too ambiguous for me. I also would have liked to see a little more of the antagonist’s back story through his own eyes. Parent does a good job of giving clues to readers about the character’s past and we do get sections from the killer’s point of view, but it would have been interesting to know what caused this character to develop such a warped view of the world. There are a lot of books out there that incorporate the ability to see the future or experience the past, but what helps Seeing Evil stand out is Jason Parent’s great action scenes, brutal descriptions of Michael’s visions, and a cast of interesting characters. There were a few minor issues for me while reading Seeing Evil, but overall, it is an enjoyable thriller that will appeal to fans of many different genres and Jason Parent is definitely an author to watch. This is the first book of Jason’s I have read, but I definitely consider myself a fan and can’t wait to see what he comes up with next! 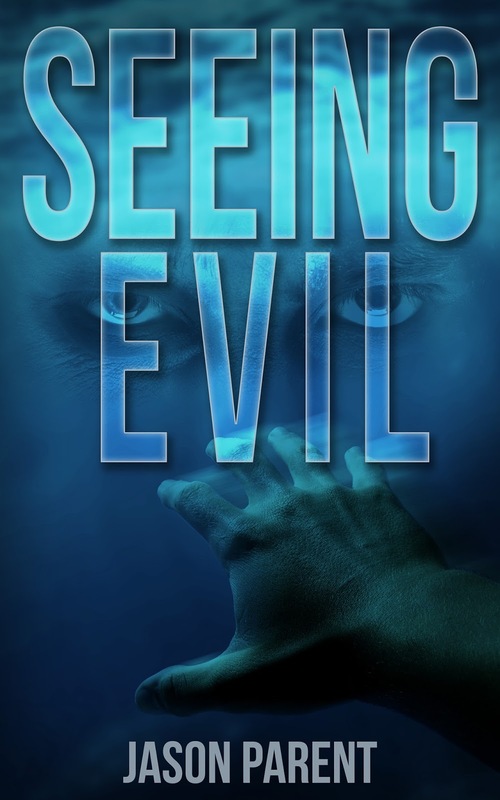 Be sure to scroll to the bottom of the post to check out an excerpt from Seeing Evil and a chance to win a copy of Jason’s work and a Seeing Evil bookmark! Stepping back so as not to alarm the child, Samantha scanned Michael for wounds, but she couldn’t find the source of the blood. She hoped it wasn’t Michael’s, but she saw no evidence, no tracks or prints, that suggested Michael had been anywhere near the bodies. Then again, shouldn’t he be in a crib or something? What’s he doing in here? There’s no part of this that he should have been forced to witness. Samantha moved in for a closer look. His hands rested on his thighs, the blood on them dry and cracking on his skin. Something protruded from beneath them, something dark and metallic. Michael seemed oblivious to her presence, swaying to a beat only he could hear. It was as though she wasn’t part of the world he was seeing. Slowly, she reached for the object with the caution of one taking a bone from a snarling dog. Only Michael wasn’t snarling. He seemed uninterested in her, still rocking and staring blankly through her, unblinking and locked on that same focal point. Maybe he’s in shock. Maybe he does understand what happened here. His unresponsiveness was certainly beyond mere willful ignorance. Samantha didn’t think he would notice if she lit a firecracker in front of him. He seemed out of touch with reality. For the moment, Samantha preferred him that way. With a hand as steady as a surgeon’s, Samantha reached for the pistol Michael was huddled over like a bear protecting her cub. She avoided contact with him, fearful of what would happen if she disturbed his trance-like state. Her fingers treaded over the barrel, searching for its grip. She pulled the handgun, a black Smith & Wesson M&P 9mm, from beneath Michael. 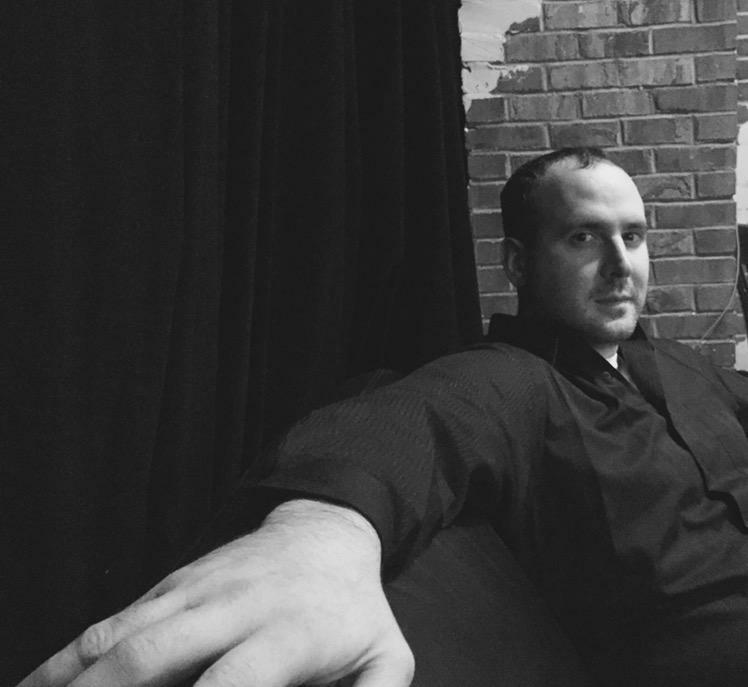 The barrel brushed against his thigh. With cold, empty eyes bulging open like those of the drowning, Michael gazed into Samantha’s. She felt exposed, as if with only a look, the child could delve into the recesses of her mind, revealing her every secret. The thought terrified her. So did Michael. With reflexes beyond one of his age, Michael grabbed the gun with both hands. Samantha quickly pulled it away. Unnerved as she was, she still had Michael’s safety at the forefront of her mind. She removed the weapon from the boy’s reach, at all times conscious of its threat. When she found the safety smeared in blood, she clicked it on and breathed a sigh of relief. As she’d expected, there had been a bullet in the chamber. She dropped the gun into an open evidence bag held by Tagliamonte. Michael’s eyes remained on her. They were blue and cloudy like the sky before a rainbow, a fire as bright as the sun burning behind them. His mouth creaked open as though tiny gears controlled its laborious motion. When his chin dropped so low it nearly rested on his throat, a sound, low and indistinguishable at first, emitted from somewhere deep within the boy. As it amplified, its sharp clamor made Samantha’s blood ice within her veins. At once, Samantha knew that not only did Michael comprehend what had happened to his parents, but also that he felt it in the worst sort of way. His wail was ghostly and ghastly, the cry of one seized by agony. Samantha was afraid, both for him and of him, and of what such trauma might cause him to become. Backing away, not knowing how to comfort the lost child, Samantha knew it would not be the last she would see of Michael.